I bring you Shanell. Signed to Lil Wayne’s infamous Young Moneyin 2008. Born in California and back-up dancer for superstar Ne-Yo. Check out this interview that took place earlier this year to get to know the songstress of the crew. 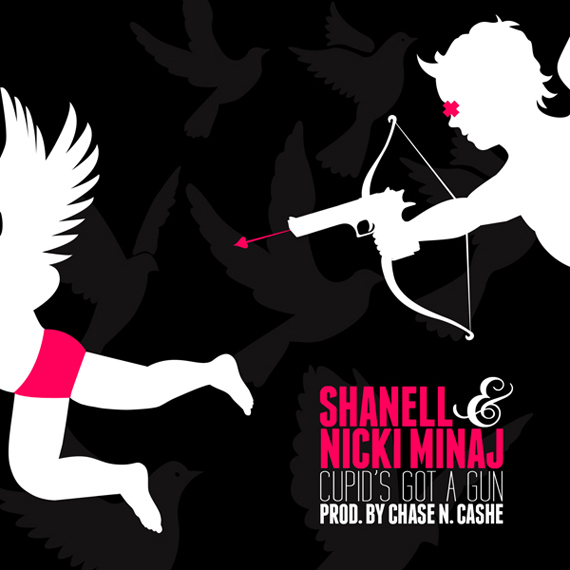 Now Shanell is combining all of her talents, directing included, and is slowly becoming the next big artist to be rolled out by Young Money. Already an accomplished dancer, Shanell is getting ready to release her debut album, which is set to hit shelves soon. With the combination of charm, sexiness and a voice that will rock your speakers, Shanell looks to be the next platinum artist in the stream of Young Money successes. Did you find it hard to transition from a dancer to a singer? Yea, it was a little difficult. The main problem was having all of the attention focused on you while on stage. You all of a sudden become the main focus of everyone at the concert. When I was performing with Ne-Yo, you know, he was the main focus. I was just supposed to be in the back as a dancer while we gave him the space he needed on stage. In 2008, when I started working with Wayne, he had to tell me to get out on the stage. He would be like, “Get up here!” and motion for me to move up. It took a little while for me to adjust to that. It was still all a little weird. Now I am so used to it, Wayne is like, “Hey! Hey! This is my song. Move back!” (laughs), but it’s all good. What is your stage chemistry like with Wayne? You guys seem to have a lot of fun up there and perform with such ease. It’s just really cool and natural. We are a bit different though, which I think helps our musical relationship. Since I come from a theatre background, I need to rehearse a lot in order to feel comfortable. It’s just the world I come from. I need to come in with a full band, the dancers and the stage personnel to get ready. However Wayne doesn’t really like to rehearse. He just comes in, runs the show once, then is immediately back in the studio. He likes to perform naturally, whereas, I need to know what is coming next and where I have to be. It’s just two different perspectives. It’s good though and it works. It actually makes sense in a strange way. Since we are on the topic of Wayne, what was it like meeting him when you first signed to Young Money. We all have heard stories about Drake meeting Wayne while he (Wayne) was getting a tattoo. Was it a crazy day like that for you as well? Actually, no not at all (laughs). It was pretty much a normal day. We were both on tour with Ne-Yo at that time. He was an opening act at the time and I was his (Ne-Yo’s) backup dancer. I was basically just trying to get my music out there any way I could. I started talking to Wayne and told him about everything I was doing. He was very interested in it, so I asked him if he would like to hear some of my work. So I took him upstairs to my hotel room where I had my Pro-Tools and other equipment set up. He really liked what he heard and asked me what I was doing with it. I told him I was selling it, but right there, on the spot, he was like, “You need to stop selling this. This is really good. You need to keep this for yourself.” I still thought I wanted to be a dancer, so I was very surprised. He then asked me if I wanted to sign to Young Money and I of course said yes. What has it been like working with Wayne? It has been amazing. I started working with him on The Carter III​, where I introduced him to producers Bangledesh (A Milli, 6’7’’) and Maestro (3 Peat). We basically just started to work together a lot. From there we really dove into that “pop-punk” world and began creating the album “Rebirth”. I wrote four songs for that album, obviously not Wayne’s parts. I wrote the single “Prom Queen”, “American Star”, “Runnin” and “I’m So Over You”. The song “Runnin” actually has a pretty funny story. I was really angry one night on tour and needed something to write to. The studio tour bus was luckily open, so I ventured inside. I began writing to this beat and the song was supposed to be for me. While I’m recording though, Wayne walked in and was like “What’s that? Play that again, lemme put somethin on it.” I of course was like “Okay.” After we recorded that, it kind of became his song (laughs) and wound up on “Rebirth”. The soul ballad is one you could listen to anywhere and sing a long, but you have to get up close to hear Nicki’s whispering bars, which there is not much of I am afraid.